Freedom of speech is one of the cornerstones of individual autonomy. Without the freedom to speak one’s mind, other vital freedoms, including freedom of religion and of association, are likely to erode as well. Despite comparatively low millennial support for freedom of speech, and recent attempts by those on the authoritarian left to suppress certain viewpoints on college campuses, the U.S. is still a hub of relatively unrestricted thought and expression. Indeed, recent evidence produced by Pew Research suggests that the United States is the most supportive of freedom of speech in the entire world. The country of Australia, however, does not have the constitutional protection of free speech that the United States does. As a result, there are numerous state and federal laws that seek to make certain viewpoints unlawful if communicated publicly. The most restrictive and absurd law with this intention is section 18C of the federal Racial Discrimination Act. This clause makes it unlawful to insult, offend, humiliate, or intimidate someone on the basis of race, ethnicity, or national origin. The individual who has become victimised by the wrong joke, wrong opinion, or even criticism of racist institutions they benefit from, has the right to drag the defendant through a court case for several years with the hope of receiving hundreds of thousands of dollars (not hyperbole) from a person whom they feel has committed thought crime. The preparation for a case is so expensive, long, and arduous that most accused choose to pay a sum of money to prevent a case from occurring in the first place. It is nothing short of a scam. Section 18D is supposed to protect freedom of speech by providing exemptions for thoughts and opinions that are communicated for genuine purpose in the public’s interest. In practice however, there have only been three times in history when 18D has successfully been used. The threshold for what constitutes an infringement of 18C is so low, it’s effectively Poe’s Law in action as the following cases demonstrate. In Eatock v Bolt (2011), Herald Sun columnist Andrew Bolt was found to be in contravention of 18C for an article he wrote which criticised abuse of welfare benefits, only available to Indigenous people, by people whom were of mostly European heritage but, according to Bolt, were choosing to identify as Indigenous to access these benefits and advance their careers. Ms Eatock chose to lodge a complaint under 18C arguing that she and other fair skinned Indigenous people were offended by Bolt’s claims. Bolt was ordered to pay hundreds of thousands in compensation and the Herald Sun was barred from ever republishing the ‘offending articles’. The entire purpose of Bolt’s article was to illustrate the absurdity in giving different benefits to people on the basis of race. Bolt’s criticism of racism resulted in him being sued for being racist. In 2013, Alex Wood, a student of the Queensland University of Technology was kicked out of an Indigenous only computer lab after an Indigenous administration advisor named Cindy Prior asked whether they were Indigenous. Later that day, Alex Wood posted this on an unofficial university Facebook page: “Just got kicked out of the unsigned Indigenous computer room. QUT stopping segregation with segregation…?” Jackson Powell also commented “I wonder where the white supremacist lab is?”. Cindy Prior decided to lodge a complaint under 18C in relation to these comments as well as other comments made by other people, claiming $250 000 in damages! Prior claimed to have suffered from “severe emotional trauma” from the incident (special snowflake syndrome on steroids!) Several people paid hush money to avoid a court case, except for Alex Wood, Jackson Powell and Calum Thwaites. These three decided to fight it out over the next three years and nearly go bankrupt in paying fees and losing potential income. Sanity prevailed when the judge of the Federal Court dismissed the case from going ahead in November this year. However, the toll taken on the defendants has revealed the process of 18C itself is a punishment. This case has resulted in the centre-right Liberal-National government ordering an inquiry into free speech after pressure from backbenchers and independents. It is utterly absurd that criticising racial segregation can result in being sued for racial discrimination. The most recent complaint to be lodged under 18C is perhaps even more absurd, believe it or not. The Australia-Japan Community Network is lodging a complaint against a Uniting Church in Sydney that hosts a statue erected by Sydney’s Korean community commemorating the suffering endured by women and girls at the hands of the Japanese army during World War II. The group argues that the statue is “politically motivated” and should be prohibited under the law in the name of “protecting social cohesion.” Insanity! Those who subscribe to classical liberal ideology, and any individual that supports the core principle of freedom of speech in the United States, will be utterly appalled by the free speech situation in Australia, and will also be more appreciative of the first amendment that protects their own country’s freedom. The situations and attitudes that are occurring on college campus and perpetuated by regressive millennials are nothing compared to the social justice utopia that Australia currently finds itself in. Australia’s experience showcases why any proposals in the United States to limit ‘hate speech’ should be opposed vigorously and at all costs. 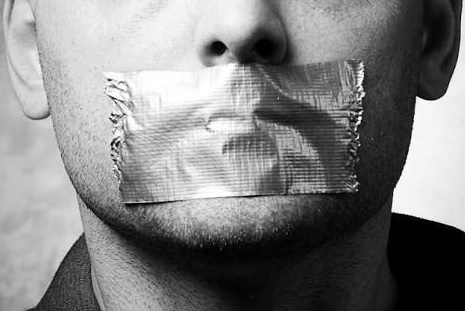 Thankfully, a recent poll shows that a slight majority of Australians support the removal of the words ‘offend’ and ‘insult’ from section 18C, showing that Australians are broadly in support of free speech (and perhaps common sense). We need to toughen up and realize that not everyone thinks like we do. We also should see the danger in co-opting the State to punish “anyone” who disagrees with us. The downside of a free society is that people are “free” to be rude, crude, and offensive. It is our choice to avoid such persons. The foundation of our laws was that the Government should “only” protect everyone’s life, liberty, and property. Anything else is an encroachment of freedom.